Synergize Bulkprint Error: An unhandled exception has occured and the application needs to shut down – Microdea Inc. 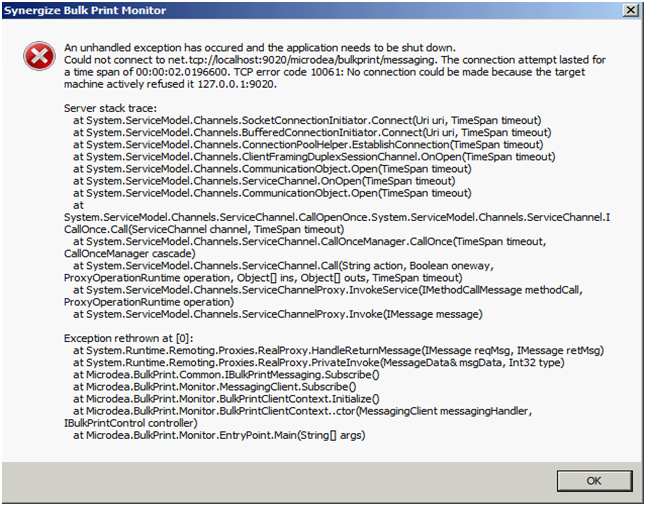 This error occurs when the bulkprint monitor is launched when the bulkprint service is stopped or not running. The monitor tries to communicate with the service in which it does not respond.